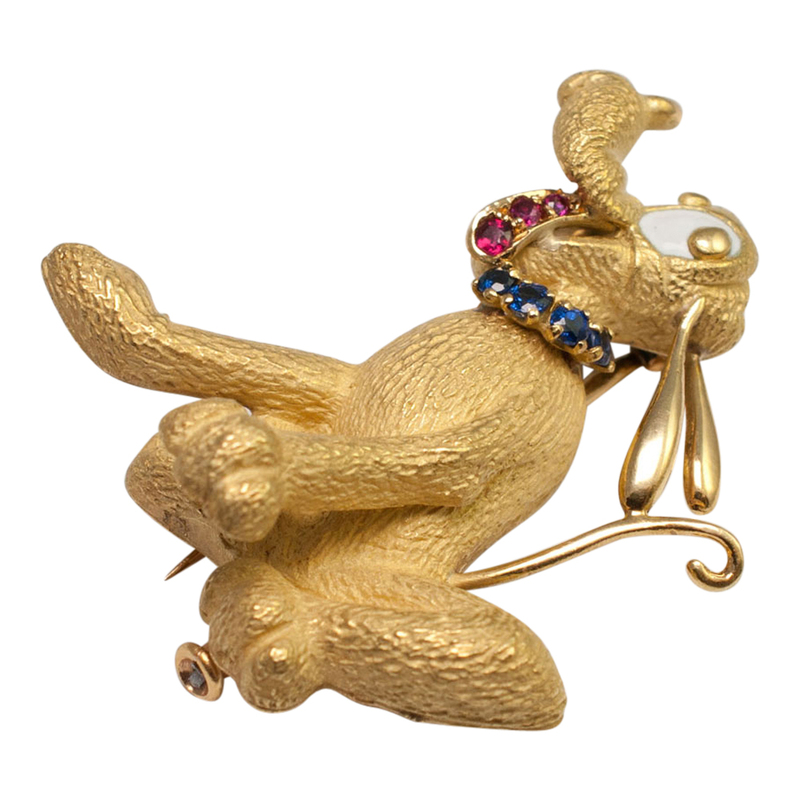 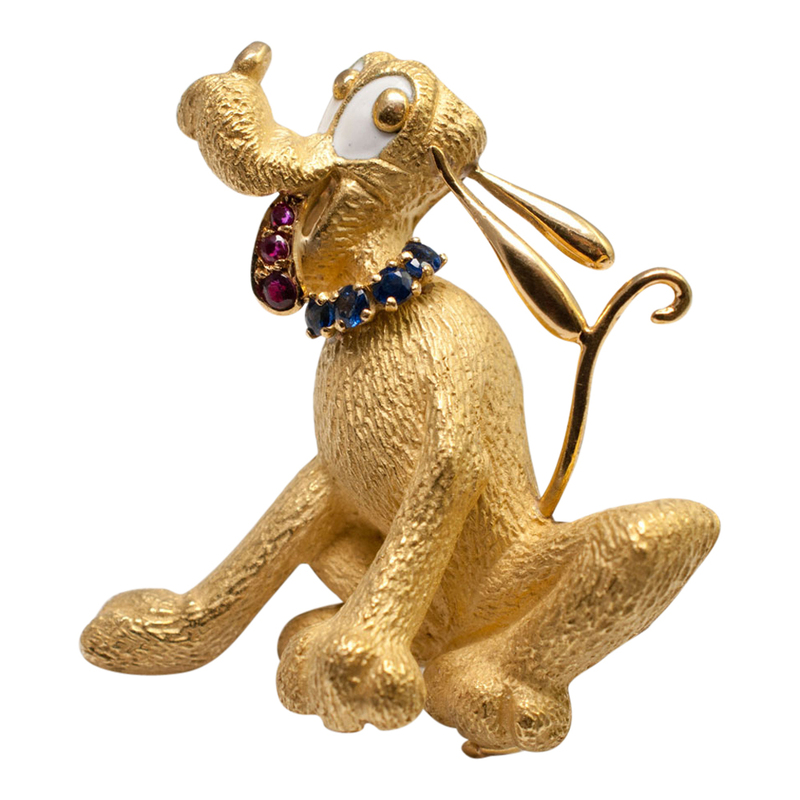 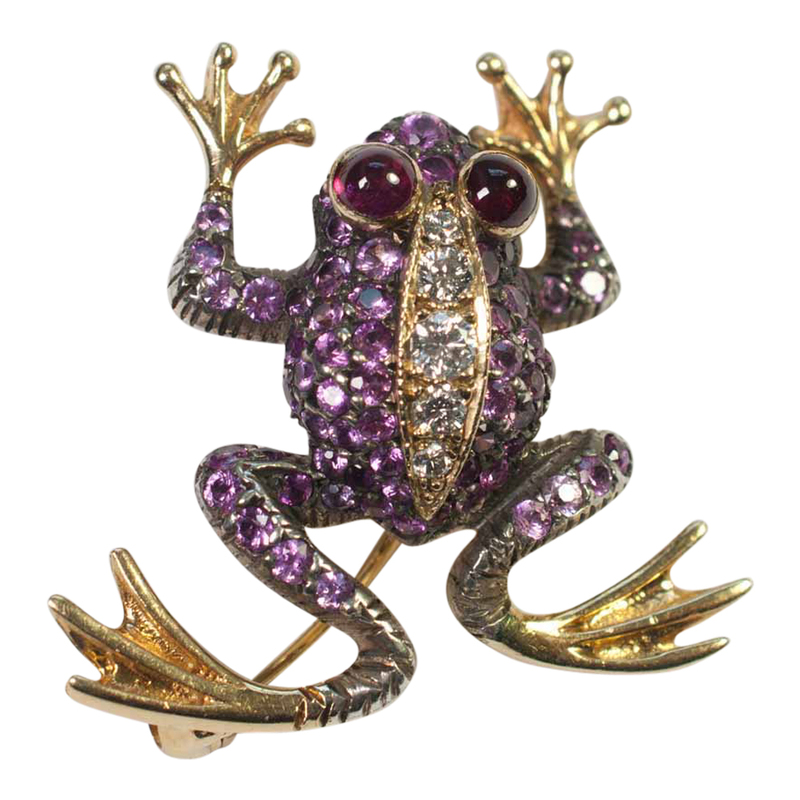 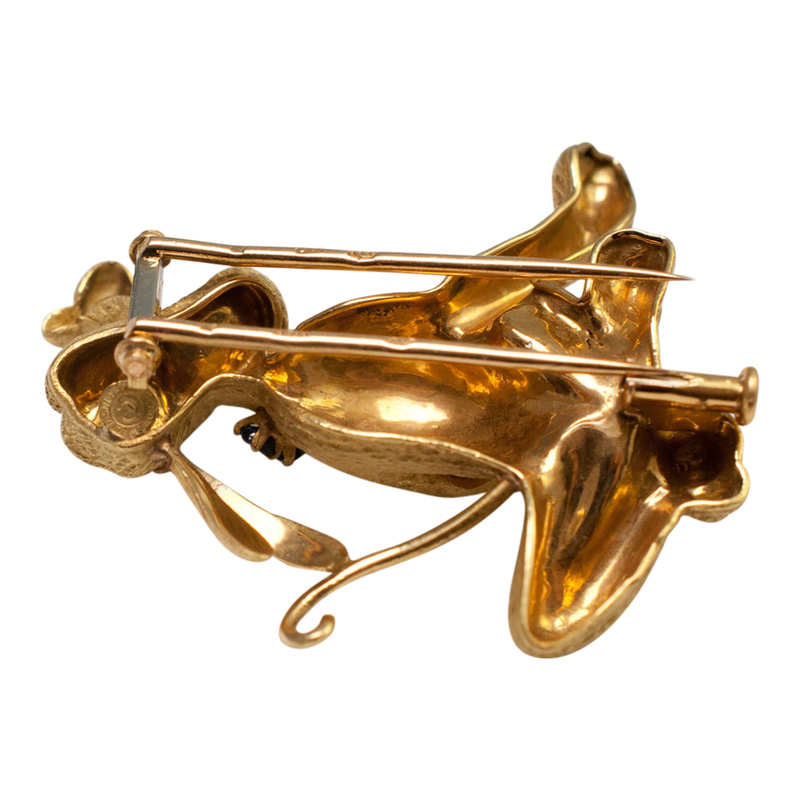 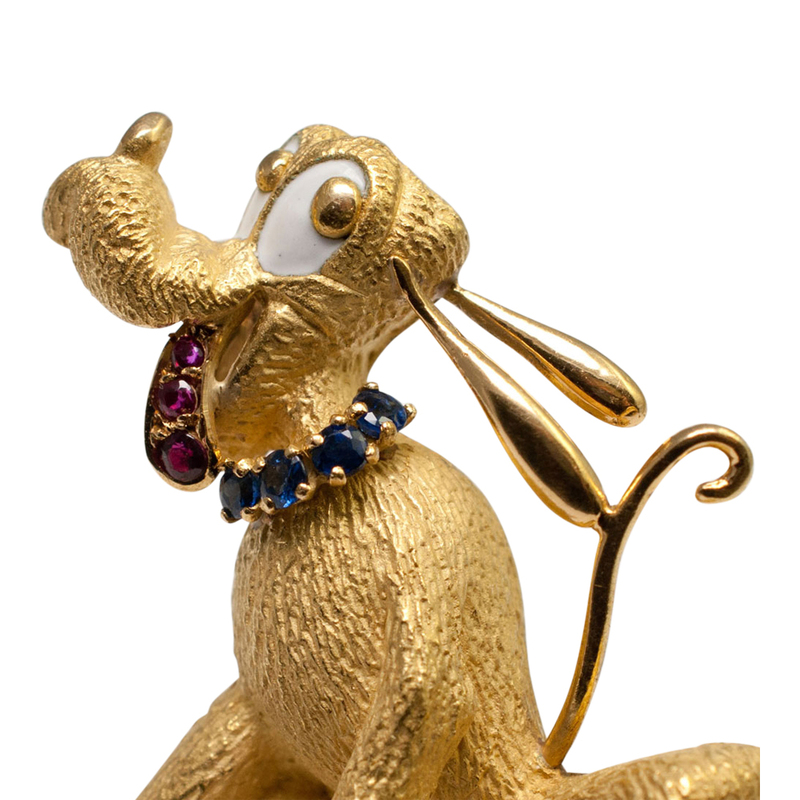 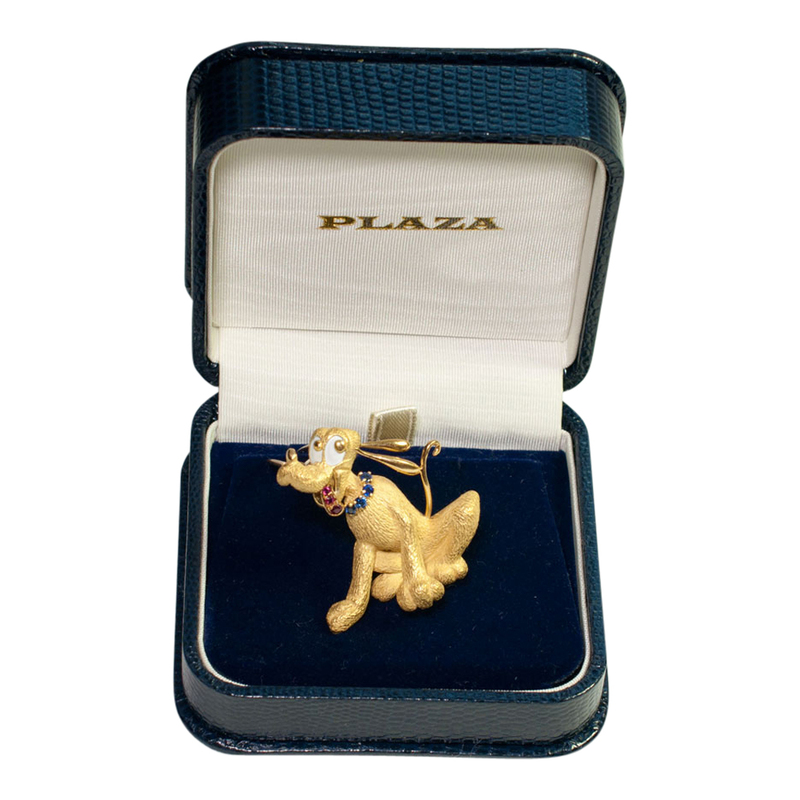 18ct gold Walt Disney Pluto brooch; he has a sapphire collar, ruby tongue and enamel eyes. 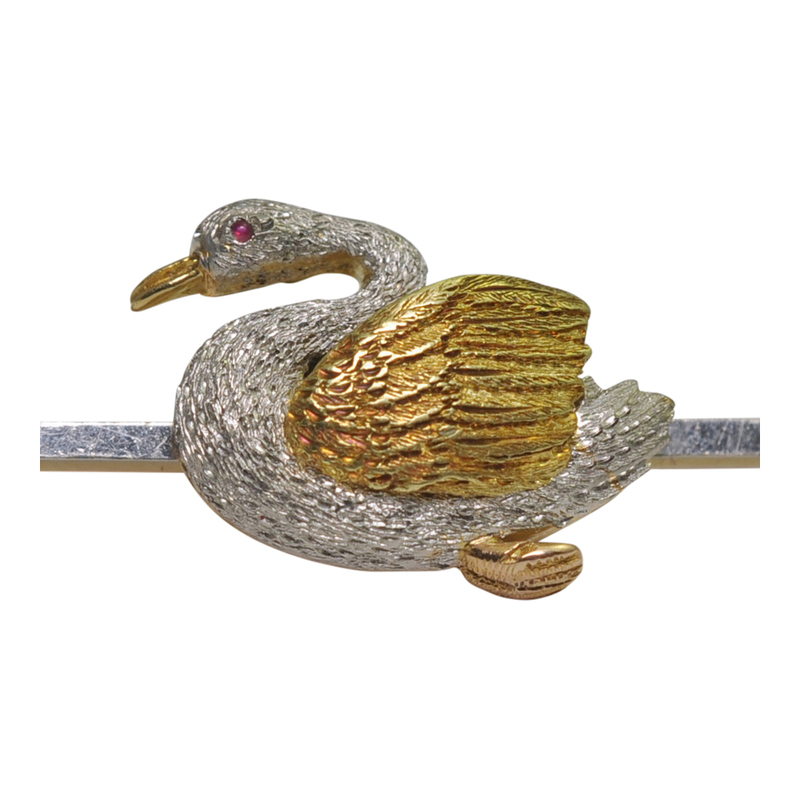 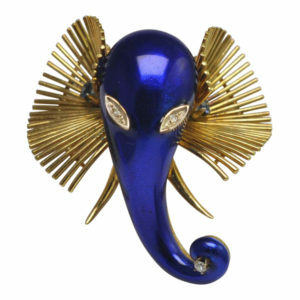 Weight 11.8gms; measurements length 4cms x width 3cms. 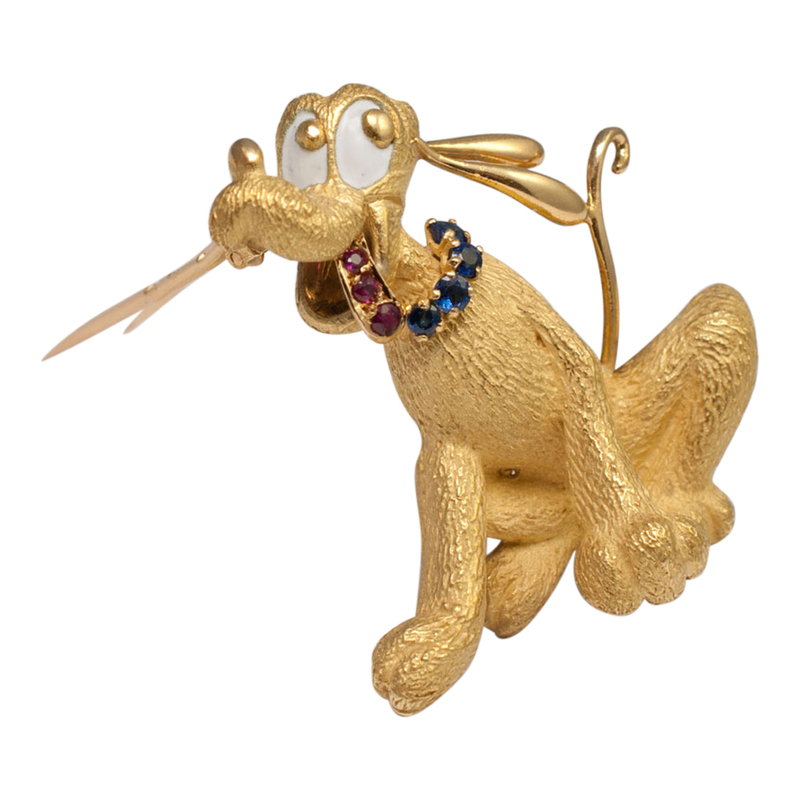 He is fixed with a double clip, one of which fits into a security lock. 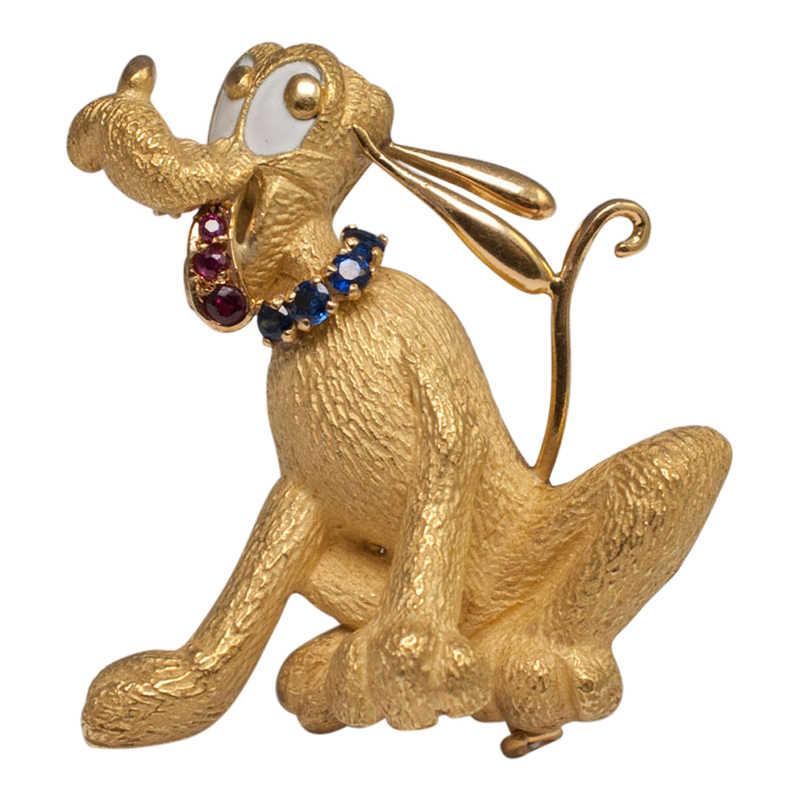 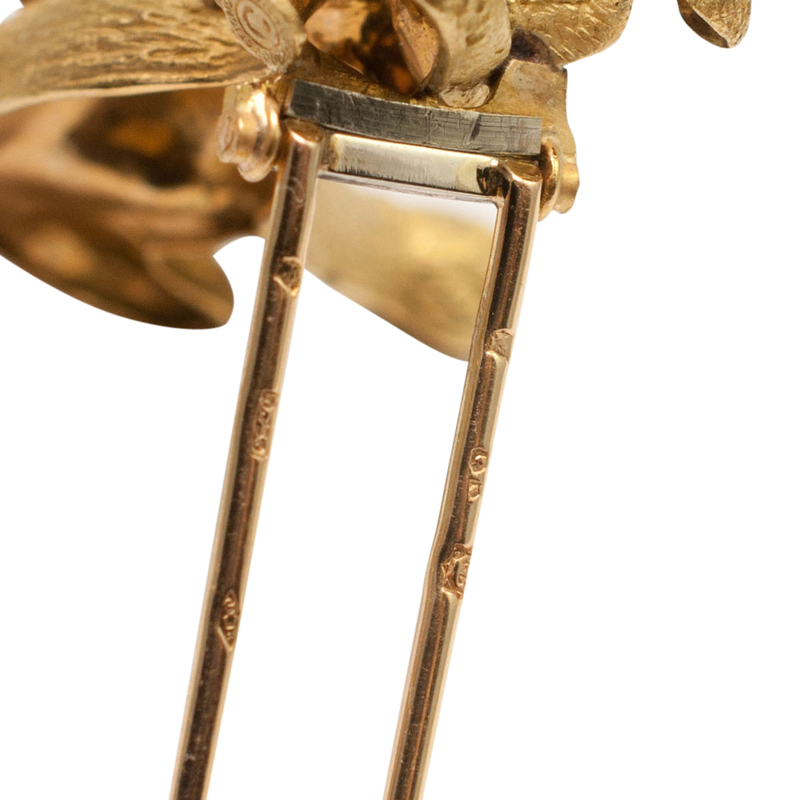 He has the official Walt Disney Productions stamp, Swiss assay marks for 18ct gold, maker’s mark J*B. 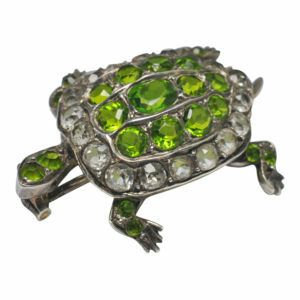 He is in excellent condition and unbelievably cute!.